Replacement Line Cord. IEC 320 C13 to SHUKO, 2 Meters. Replacement Line Cord Series. IEC 320 C19 to SHUKO, 2 Meters. Description: Dual Temperature Probe for iBoot-PDU. Description: Rack Mount Ears(set of 2) for iBootBar. Description: Replacement Line Cord for iBB-C10 Series. IEC 320 to SHUKO, 2 Meters. Description: Replacement Line Cord for iBB-C20 Series. IEC 320 to SHUKO, 2 Meters. When you need to reduce costly site visits, ensure business continuity and increase network reliability, iBoot-PDU series gives you peace of mind. 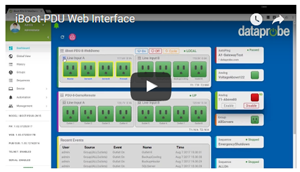 iBoot-PDU8-2C20, a web-accessible, managed PDU with independently controlled outlets, enables multiple users to reboot remotely from anywhere, using any web browser, Telnet client or SNMP manager. 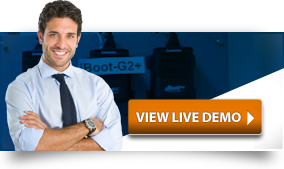 From servers and webcams to IP PBXes and surveillance systems, iBoot-PDU8-2C20 keeps your network up and running. The web browser interface provides the easiest means of managing multiple outlets. One master unit can be connected to 15 expansion units, managing 128 outlets from a single web page interface. The web page presents a clear status indication of each outlet, current draw across all inputs and the AutoPing monitoring, if implemented. Each outlet can be individually selected, or multiple outlets can be simultaneously operated. User selectable cycle timer allows single command reboot. Delay timer limits inrush current by staggering power up when multiple devices are simultaneously controlled. 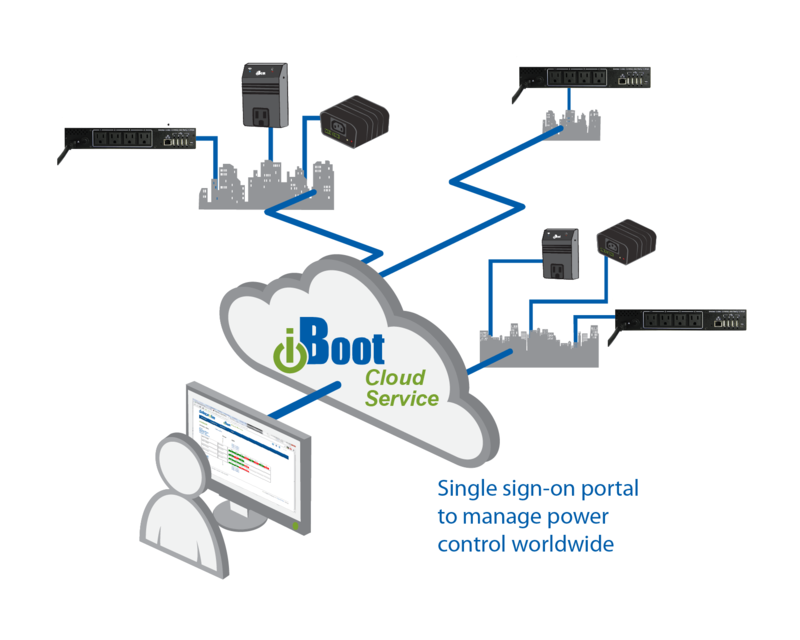 iBoot Cloud Service (iBCS) allows customers with iBoot-PDU to access and control multiple units in multiple locations from a single portal with a single sign-on. iBCS will not only make using iBoots easier, by consolidating all units into one sign-on and interface, it will also enhance the number of situations where iBoot can be deployed. Customers with Dynamic IP addressing to always be able to access their iBoot from any location. Service providers manage multiple customer accounts with diverse security configurations. Customers that are not allow in-bound connections to access their iBoots. Monitor critical parameters and take corrective action immediately. 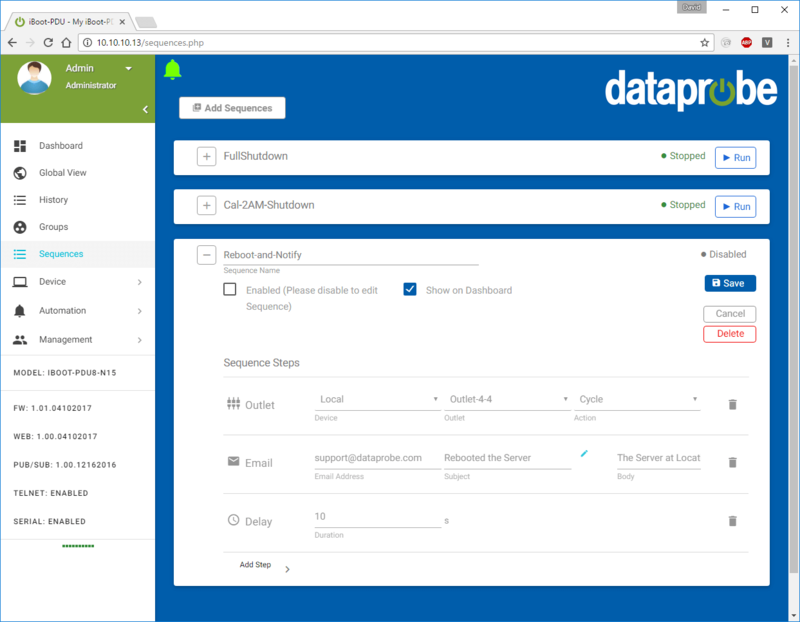 Build complex notification and reporting for environmental, power and network faults. Set trigger points and create sequences of responses to keep your network up and running. One iBoot-PDU can be linked to and manage multiple additional PDUs, creating a single easy to manage cluster. These units can be in the same rack, or across the world, making it easy to view, and operate all your outlets from a single web page. Outlets can be grouped together to be managed simultaneously. Outlets can be on the same PDU or accross all PDUs in the cluster. Groups are ideal for managing devices with redundant power supplies, or rebooting all email servers at 2AM every night. Dual Inlet models can be used to source power from two redundant sources, with each source feeding a power supply of a single device. Each main feeds four outlets Inlet A supports outlets 1-4 and Inlet B feeds 5-8. Dual power inlet models can be used to support higher current devices, as each inlet can carry its rated load, doubling the amperage of a single inlet device. Web Browser Control Simple web browser interface is easy to use and provides complete status information and control of the outlets, and groups. Telnet/Serial CLI control Telnet and serial access use the same Command Line Interface (CLI) structure and syntax to completely configure the iBoot-PDU8-2C20, or multiple iBoot-PDUs in a cluster configuration. Multiple Users Multiple users can be assigned administrator or user only rights, plus access to specific outlets and groups. Users only see the outlets and groups they are assigned to. Grouping of outlets for simultaneous management Multiple outlets, across multiple iBoot-PDUs in clustered configurations can be linked together in named groups and managed together. This allows for example, power cycling all devices of a certain type together. Multiple iBoot-PDU Cluster Configuration Additional iBoot-PDUs can be managed from a single unit. One master iBoot-PDU provides the communication to the users and continuously receives status information from the rest of the iBoot-PDUs in the cluster. 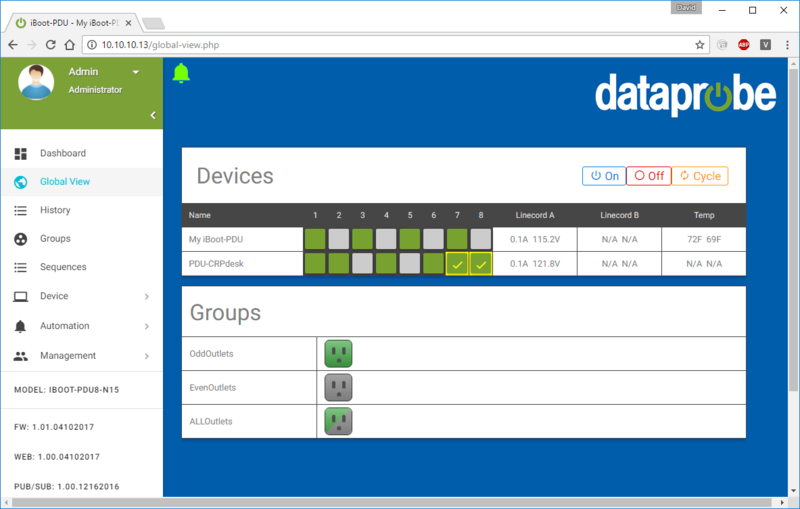 Groups can be created across multiple PDUs and controlled simultaneously. Automation The iBoot-PDU8-2C20 can monitor voltage, current and temperature to provide automatic response to the physical environment. AutoPing testing monitors network elements. Program complex sequences of outlet actions and notifications to respond instantly to out of normal situations. Temperature monitoring requires add-on probe. Real-Time event control Set automatic power actions based on your schedule. Restart systems every day to reduce memory bloat. Power up resources only when needed for energy management, lifecycle extension or security. Network Management Setup and Control functions can be linked to any SNMP v2c compatible manager. The iBoot-PDU MIB is downloadable from the iBoot-PDU Support & Downloads page. Reports to syslog server. iBoot-PDU automatically monitors and protects your network. AutoPing continuously tests your connectivity to the internet or to any device on your network. When the network is down, or the device stops functioning, iBoot-PDU reboots the failed system to get you back on-line fast. With iBoot PDUs real time scheduler, you can use regular reboots to insure a fresh start each day. Power Up and Down equipment as needed to minimze energy consumption, heat and extend product life. Turn off equipment automatically when not needed for security and access control. iBoot PDUs with dual power feeds allow higher current devices to be supported. Put each power feed on separate circuits, and double the current capacity per unit. Dual Power Inlet units can also support devices with dual redundant power supplies, with each supply run from a separate power source, alternate UPS, generator backup, etc. iBoot-PDU8-2C20 will save you time and money by reducing costly downtime. Just point your browser to the iBoot-PDU, login and you are one click away from bringing that failed system back to life. iBoot-PDU will even detect failed systems and take immediate action. Add an optional USB Plug-N-Play Dual Temperature Probe for iBoot-PDU. This temperature data can be used to monitor or to program complex sequences of outlet actions and notifications to respond instantly to out of normal situations. iBoot Cloud Service (iBCS) allows customers with iBoot-PDU to access and control multiple iBoot units in multiple locations by consolidating all units into one sign-on and interface. Eliminate accidental and vibration disconnects using Zonit zLock Universal Locking Power Cables. USB Ports 4 x USB A ports for accessories, modem, temperature probe, etc. Optional - Temperature Module USB Dual Temperature Sensors. Sensor 2 on 1m cable. Enter your specifications and we will recommend a product!